What is the first thing that comes to your mind we talk about a wax museum? Without doubt it would be Madame Tussades Wax Museum. Do you think it is out of reach for you visit it? 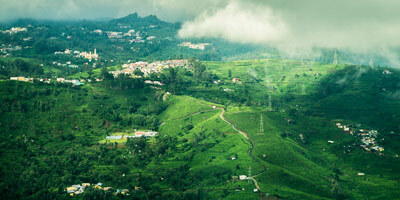 Well if you are ready for an alternative and get a lot of green mountains and natural beauty as complement, go to Ooty. Ooty has its very own Wax World, just 2 kilometers from the main city. One of those 'must see' places in Ooty town, the place is thoroughly enjoyable and also informative for the kids, besides the place very easily accessible. You can actually start the day by a quick stop at the Wax World and then move on to the farther places like Pykara Lake or Mukurthi National Park and so on. The Wax World contains beautiful statues of Indian freedom fighters like Mahatma Gandhi, Bal Gangadhar Tilak, Gopal Krishna Gokhale among many others. The museum also has wonderful replicas of social figures like Mother Teresa and our former President, Dr.A.P.J.Adbul Kalam. Ooty hotels and Ooty restaurants are easily available near the museum for a quick bite before you carry on with your journey. The Wax World also has many replicas depicting the typical Indian way of life, especially in the villages. The whole setting of a village and people doing pottery and farming and so on all made entirely of wax is a wonderful site. Being a museum, there is no concept of best time to visit, other than when it is open!